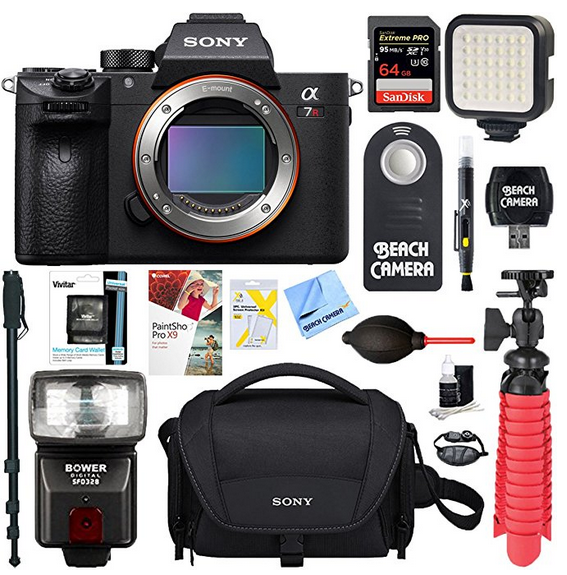 The Sony A7r mark III Camera Bundle (Memory & Flash kit) recorded on Amazon priced at $2798.00 & FREE shipping in the US. Lowest ever! This is a top-of-the-line Full-Frame Mirrorless camera with a high-resolution 42.4MP sensor & UHD video recording capability. And you get lots of goodies in this bundle for practically free. Just add a lens.